This sub-component is responsible for stabilizing and supplying voltage for the extremely sensitive electronics to the rest of the science instrument. By providing stable voltages (in some cases between +/- 1 mV ! ), we maintain high precision in our scientific measurements. As anything we do, practice makes perfect. 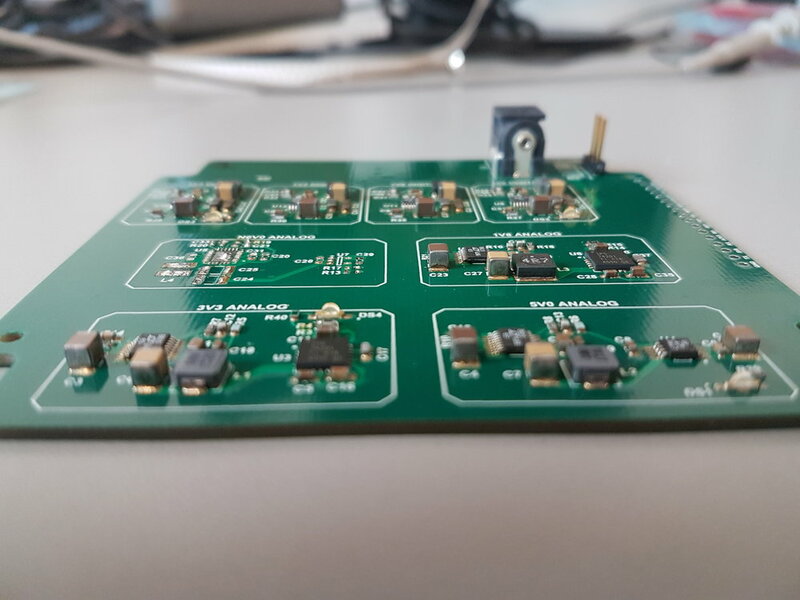 This board is our 2nd full revision, after iterations from initial testing (rev 0) to HASP 2017 (rev 1.0)'s fully assembled and functional model.